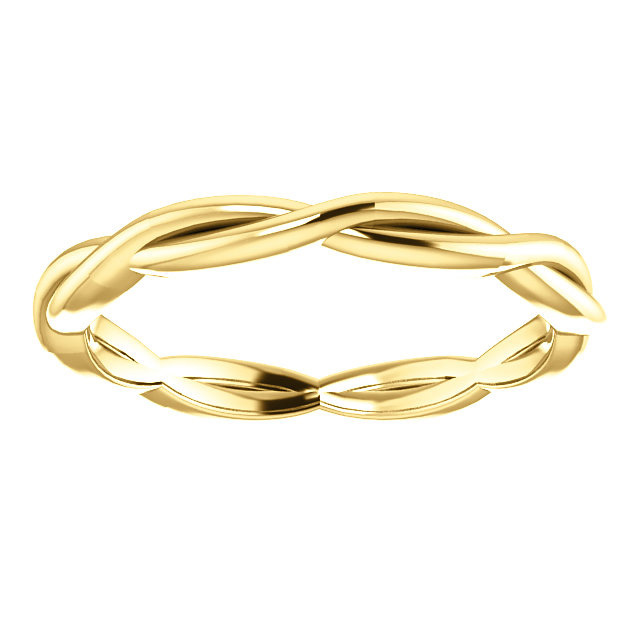 Beautiful and sparkling yellow gold will be sure to be a favorite with Apples of Gold Jewelry's woven infinity wedding band ring in 14K gold! 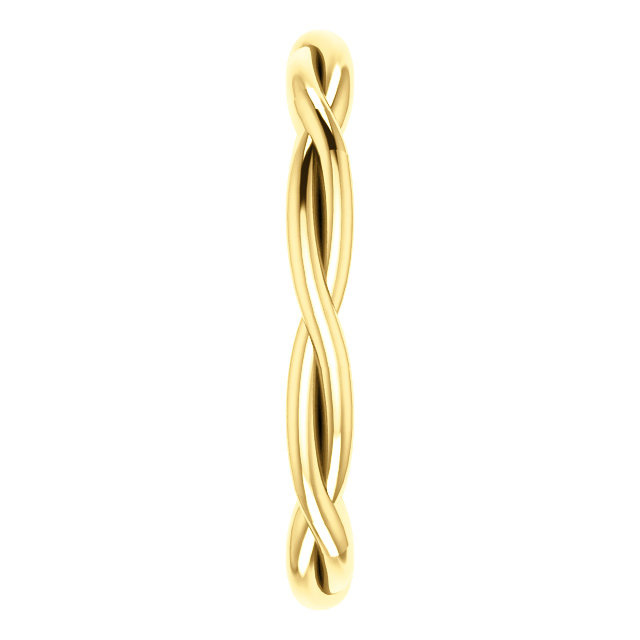 The lovely, bright 14K yellow gold really stands out with the interesting braided design of the ring goes around the entire 2.75mm wide band, and is sure to capture anyone's heart. The sweet looping infinity design will have that special someone remembering how much you love them, and is sure to make that special day even more exciting! 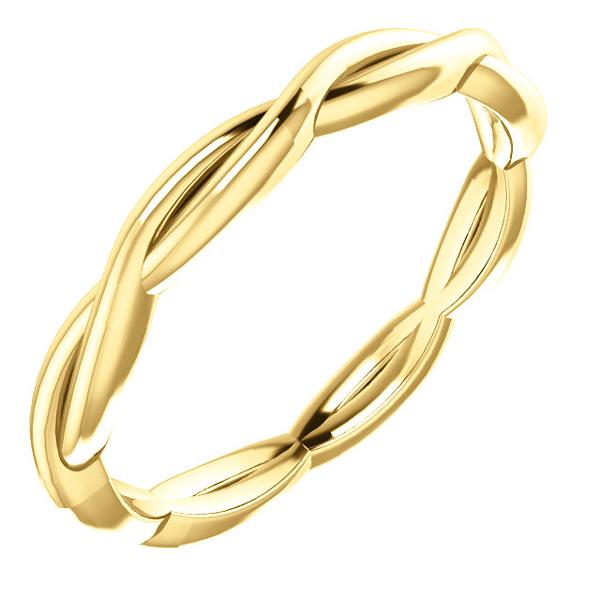 We guarantee our Woven Infinity Wedding Band Ring in 14K Gold to be high quality, authentic jewelry, as described above.